This entry was posted in Flash Non-Fiction, Photo poems, spiritual thoughts and tagged adventure, art, awakening, beauty, blog, blue, connection, divine, expansion, freedom, light, living in the now, meditation, mud, nature, photography, poem, river, seeing our true beauty, spirit, spirituality, stillness, sun, writer, yoga, Zen. Bookmark the permalink. I’m certain, Marina, judging by your own work that it appeals to your artistic side, as it does mine. I think artists see beauty where others simply walk by. You can take a hundred shots of mud, looking for that one magical one that pops out you. Thanks so much for stopping in. Mud is made from non-mud elements. I see cloud, sunshine, air…the whole cosmos in the mud. Mud can never die. Mud will eternally exist in different forms according to the law of conservation of matter and energy within ecosystem. How can we humans die? We cannot die, my friend. We are just endlessly recycling ourselves into different forms and shapes and consistencies. So delighted you stopped by my humble endeavor. I just saw your note, too, on LinkedIN. Thanks so much for the support. I am excited and ready for a little transformation and remolding myself and this feels like the right, next step for me. So truly, thank you. Thank you for your reply. I will support you whatever I can do for you. Good luck for your future! 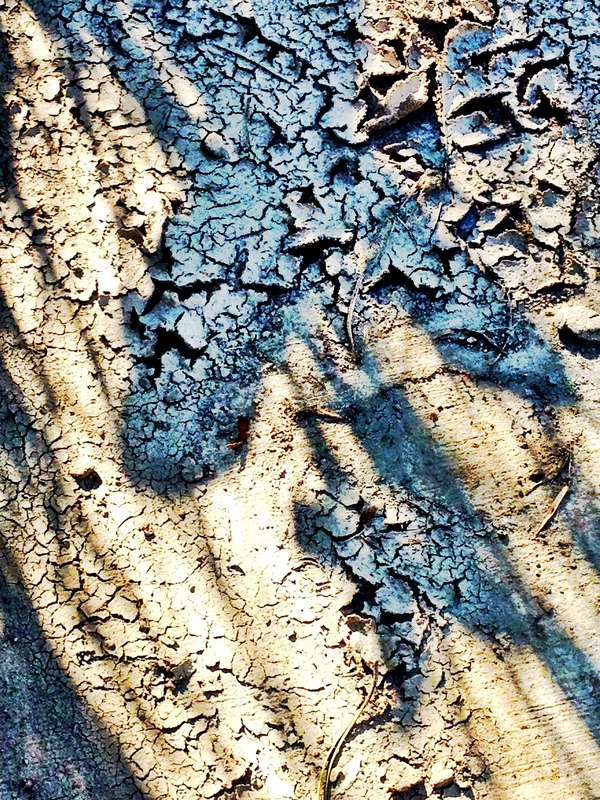 By the way, I can see a human face with glasses on the top right of your Mud photo. Hahahah…. I never noticed that before. Very funny. I have noted the falcon’s head in the right leg of the blue cross before. Thank you for your support. I have decided I am taking the path of love, abundance and work that I love. It feels like the right journey. Blessings and good fortunes to you, too, my friend.